Pickled eggs are a typical British recipe to include boiled eggs preserved in vinegar, salt. Pickled eggs are a typical British recipe to include boiled eggs preserved in vinegar, salt. As with many foods, did you know that this was originally a way to preserve the eggs so that it could be eaten months later? 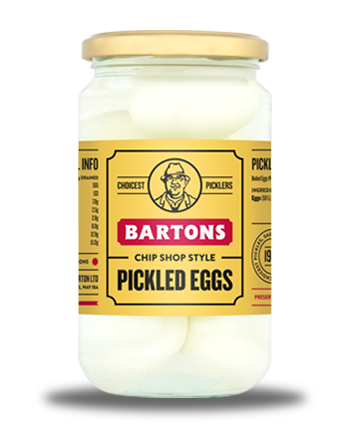 Pickled eggs have since become a favourite among many as a snack as they are high in protein and low in fat and carbs. These incredible eggs are popular as hors d’œuvre in gastro pubs and bars and around the world in places where British ales and beers are served. Eggs 55%, water, acetic acid, salt.